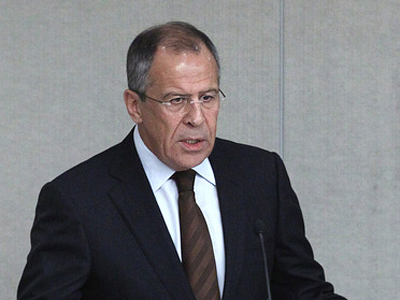 The Russian Foreign Minister Sergey Lavrov has held separate talks with Libyan rebels and Palestinian officials in Moscow. ­Russia is offering a helping hand to both Libyans and Palestinians, in an effort to negotiate peace agreements in the respective regions. Sergey Lavrov’s talks with leaders of the Palestinian Fatah and Hamas movements concentrated on discussions over plans for the recognition of a new independent Palestinian state. Russia has a positive attitude to the agreement to hold municipal elections in Palestine. Russia is also interested in all Palestinian political forces being involved in an election campaign on the Palestinian territories, Sergey Lavrov said during the meeting. "Russia as a permanent member of the UN Security Council, as an active member of the Middle East Quartet, sincerely is interested in seeing all the Palestinian forces engaged in campaigns on the basis of those principles, incorporated in the political charter of the PLO (The Palestine Liberation Organization) and the Arab peace initiative." ­Political analyst Muhsen Abu Ramadan believes in the success of the political negotiations in Moscow. “The purpose of this invitation is to bridge the gap between the political factions and to fill some gaps and points which haven’t been addressed in the Palestinian reconciliation accord signed three weeks ago under the sponsorship of the Egyptian government,” he told RT. “The Palestinian political leadership is going forward to implement the reconciliation accord and the items signed in the reconciliation agreement between the Palestinian factions. We are going to empower the PLO, to empower our diplomatic role to convince the international community and all countries to accept the Palestinian proposal in September in the UN General Assembly and to admit the Palestinian independent state and sovereignty of its lands” he added. ­The Israeli-Palestinian problem took a new turn when US president Barack Obama proposed that the borders of any future independent Palestinian state should be based on the 1967 borders before the Six-Day War. This would mean that the borders of such a state would cut through Jerusalem, and that East Jerusalem would belong to the Palestinian lands. The proposal was welcomed by the international community and by the Middle East Quartet, but it was strongly criticized by the Israeli PM, who said such borders would make Israel absolutely “indefensible” against the Palestinians. ­In his speech to the pro-Israel lobby on Sunday Barack Obama warned that if Israel does not work towards a credible peace deal, it could soon find itself totally isolated. However, political activist Hedy Epstein believes it is just rhetoric, and that in reality Washington goes along with whatever Israel demands. ­Meanwhile, the Palestinians are planning to unilaterally appeal to the UN to recognize their independence later this year. However, in his speech last week US President Barack Obama vehemently opposed this idea. Investigative journalist Alison Weir said the US is likely to put considerable pressure on the UN to block the recognition of the Palestinian state, an action which goes contrary to America’s original principles. “It’s ironic, because the United States began its existence by a Declaration of Independence. We did that unilaterally, we didn’t negotiate with the British to give it to us. So Obama is asking the Palestinians to do something very different from our own national history,” noted Weir. 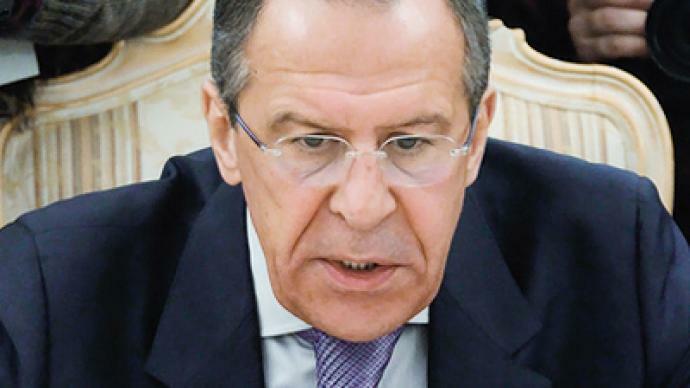 ­Later on Monday, Lavrov met with the Libyan opposition to talk preconditions for a ceasefire and negotiations between the government in Tripoli and rebel authorities in Benghazi. “The Libyan opposition and Russia have an understanding regarding the recognition of the opposition government in Benghazi.” Abdel Rahman Shalgham, a spokesman for the Libyan Transitional National Council told journalists after Monday’s meeting. 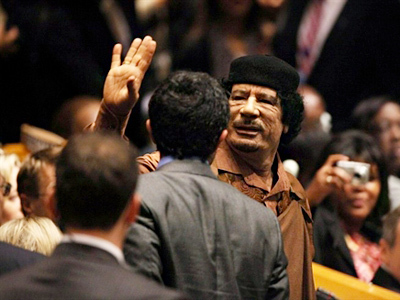 At the same time, Shalgham stressed that rebel authorities are not going to discuss the possibility of Muammar Gaddafi staying in power, “This person has ruled for 42 years. It’s no longer possible,” RIA Novosti quotes him as saying. Shalgham supported NATO operations in Libya and wants the alliance to carry on, stressing the troops are in Libya not on their own initiative. “This is not NATO’s decision, but the decision of the UN and its Security Council. It was a decision aimed at defending the civilian population,” Interfax news agency reports him as saying. Previously the meeting was supposed to take place last Wednesday, but Lavrov said it was put off at the request of the Libyan opposition. 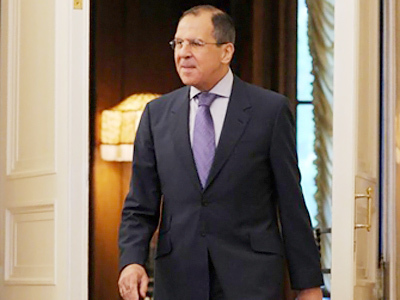 Last week Lavrov also met representatives of the Libyan government and UN special envoy to Libya Abdelilah al-Khatib. During the meeting in Moscow, representatives from Tripoli made it clear that they are ready to adhere to all UN resolutions and to consider a ceasefire, provided rebels lay down their arms and NATO stops its shelling. Moscow has been saying it does not want to be a mediator in the conflict as this is an internal matter for Libya. It is just trying to help both sides, trying to find a way to move forward towards the ceasefire in order for peace finally to be established after months of violence in the country. Moscow urged the Libyan government to co-operate with the United Nations in the deliveries of humanitarian aid.